Ansley Norton was born and raised in Dallas, Ga. Ansley graduated from East Paulding High School and attended West Central Technical College where she obtained her degree in dental hygiene. During the summer months of 2005, she observed her uncle who was a dentist. It was during that time she realized she wanted to be a hygienist because she had a passion to help others. 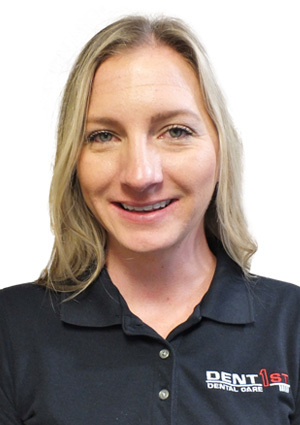 Ansley has been a hygienist at Dent First since 2009. During her free time, she enjoys spending time with her husband (David) and two children Sara Beth and Dawson. She also enjoys traveling and attending her church, Summit Baptist Church. Ansley enjoys building relationships with her patients. She also enjoys educating the public at local schools and volunteers helping individuals with learning disabilities. Ansley currently resides in Kennesaw, ga.